Ants use chemical pheromones to mark a trail to food, to alert danger and possibly differentiate between threats, to locate a new nest, to mark position in a colony’s social hierarchy or “caste”, or to discriminate between other living and dead ants. 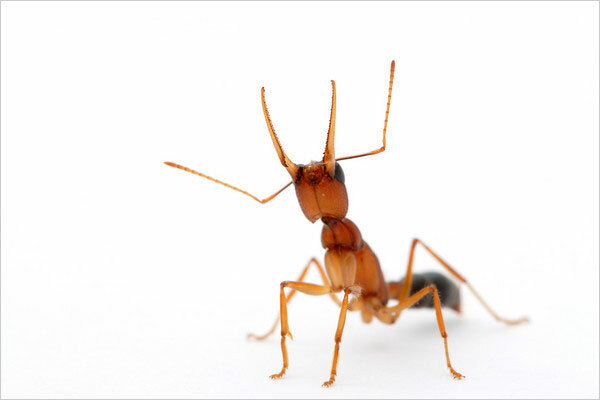 A fire ant may have 10 -20 such communication patterns. – Ed Wilson. Some ants appear to herd aphids as a controlled food source. I’ve seen these ants carry the aphids on their backs to shelter during heavy rainstorms. Feynman was very curious about ant behavior and carried out some of his own experiments.